avionics and ancillary support specialists in addition to a number of financial packages. Uniquely in our unmanned vehicle industry class, we offer a full range of Managed Services, backed by highly expert pilots and ground crew, avionics and ancillary support specialists in addition to a number of financial packages. UAV Services Training: Operator/Maintainer/ISR courses. At UMS SKELDAR, as part of our growing portfolio of flexible Managed Services, we are able to offer a range of Intelligence, Surveillance and Reconnaissance (ISR) and operator and maintainer training programmes. Training is delivered at a venue of choice, customer premises or our world class facilities in Switzerland and/or Sweden. 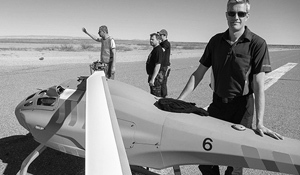 The Intelligence, Surveillance and Reconnaissance (ISR) Fundamentals Course is designed for both military and non-military personnel involved in procurement, development and operation of Unmanned Aerial Vehicles (UAVs) that require a comprehensive overview of Intelligence, Surveillance and Reconnaissance (ISR) operations. The aim of the course is to provide an introduction to Intelligence, Surveillance and Reconnaissance (ISR) capabilities and how it supports and integrates with other activities. During the course, you will receive an introduction upon the common collect and analytical capabilities and finish with a small tactical, practical training exercise. The Intelligence, Surveillance and Reconnaissance (ISR) Practitioner Course introduces the wider world of ISR and prepares Unmanned Aerial Vehicle (UAV) personnel for operations. It focuses upon the tactical integration of disparate ISR systems against a common target, supplemented by training exercises. It is specialised for operators who are actively employed within the ISR activity that require a broadening of ISR knowledge beyond their specialisation. The aim of the Intelligence, Surveillance and Reconnaissance (ISR) Master Class is to develop tactical acumen of an ISR operator. The course provides expert insight into cognitive skills and leadership ability traits required to be a chief tactical advisor to manage a team of Unmanned Aerial Vehicle (UAV) operators. Founded on real world operational experience, the course is dedicated for ISR Liaison Officers, ISR Tactical Commanders and ISR Advisors. The Intelligence, Surveillance and Reconnaissance (ISR) Fundamentals Course is designed for both military and non-military personnel involved in procurement, development and operation that require an comprehensive overview of ISR operations. The aim of the course is to provide an introduction to ISR capabilities and how it supports and integrates with other activities. During the course, you will receive an introduction upon the common collect and analytical capabilities and finish with a small tactical, practical training exercise. The Intelligence, Surveillance and Reconnaissance (ISR) Practitioner course introduces the wider world of ISR and prepares personnel for operations. It focuses upon the tactical integration of disparate ISR systems against a common target, supplemented by training exercises. It is specialised for operators who are actively employed within the ISR activity that require a broadening of ISR knowledge beyond their specialisation. The aim of the Intelligence, Surveillance and Reconnaissance (ISR) Master Class is to develop tactical acumen of an ISR operator. The course provides expert insight into cognitive skills and leadership ability traits required to be a chief tactical advisor to manage a team. Founded on real world operational experience, the course is dedicated for ISR Liaison Officers, ISR Tactical Commanders and ISR Advisors. This module provides the customer with a detailed understanding of the tasking authorities in support of national and international operations. This section explains the Information Management process and provides an essential introduction to the collection, process, exploitation, and dissemination assets, along with the ability to create and execute an Intelligence Collection Plan. This section provides the customer with an in-depth appreciation of Signals Intelligence (SIGINT) sensors and systems, platform capabilities and factors that affect SIGINT employment. The Imagery Intelligence (IMINT) section provides customers with detailed knowledge of IMINT sensors, systems and platform capabilities, along with an understanding of the factors that affect IMINT employment. This section provides the customer with an in-depth appreciation of Measurement and Signature Intelligence (MASINT) sensors and systems, platform capabilities and factors that affect MASINT employment. This is a bespoke section determined by the customer’s requirements and security limitations. This phase covers the Intelligence Cycle and processing, exploitation, and dissemination (PED) issues of the INTS. This phase introduces the customer to issues surrounding Intelligence, Surveillance and Reconnaissance (ISR) dissemination. The Mission Command Phase provides an in-depth analysis of how mission command methodology is applied within an ISR Force. This phase covers the Intelligence Cycle and PED issues of the INTS. This phase introduces the customer to issues surrounding ISR dissemination. At UMS SKELDAR, our Unmanned Aerial Vehicle (UAV) platforms are ready for deployment above ground, including an open interface to Broadcast Microwave Services (BMS) and Command, Control, Communications, Computers, Intelligence, Surveillance and Reconnaissance (C4ISR) systems. Our C4ISR teams offer world leading expertise, technical know-how and practical end-to-end solutions and services to resolve the most complex issues in the intelligence, Command and Control ISR (C2ISR) and information domains. Our multi-role portfolio of Unmanned Aerial Vehicles (UAVs) empowers military and civilian agencies to deploy C2ISR and C4ISR strategies to effectively tackle a range of situations from anti-terrorist or anti-smuggling operations to protection of borders and vital infrastructure. Our portfolio is also 4865 STANAG compliant, making it easier to implement and an ideal asset for integration either as deep ISR or in battle zones to support tactical missions. At UMS SKELDAR, our platforms are ready for deployment above ground, including an open interface to Broadcast Microwave Services (BMS) and Command, Control, Communications, Computers, Intelligence, Surveillance and Reconnaissance (C4ISR) systems. Our multi-role portfolio of Unmanned Aerial Vehicles (UAVs) empowers military and civilian agencies to deploy C2ISR and C4ISR strategies to effectively tackle a range of situations form anti-terrorist or anti-smuggling operations to protection of borders and vital infrastructure. UMS SKELDAR recognises that customers need assistance in understanding the characteristics of the proposed Unmanned Aerial Vehicle (UAV) they want to use. Being able to use the Remotely Piloted Aerial System (RPAS) correctly is a core requirement, which is why UMS SKELDAR provides full concept of operations support, including training, a full review of what the UAV is to be used for and advice on what the best platform is for their needs. Our solutions package expands beyond the product and provides services of associated systems. These include ground control stations, communications links and data terminals together with Managed Services, enabling both military and civilian organisations to select the package that meets their requirements. Our systems are designed to ensure a minimal logistical footprint. Typically this comprises two vehicles and one ground control station. Depending on customer requirements, we offer professional support throughout your Remotely Piloted Aircraft Systems (RPAS) project – from writing the Concept of Operations & Tactics to training your personnel in RPAS Operations, helping to ensure that your missions are supported from day one. Successful missions, across civilian or military applications, require planning and full maintenance back up. We offer a fast-track maintenance supply chain, and regional partners provide expert engineering teams to support our portfolio of vehicles, Remote Pilot Stations (RPS), avionics and payload options. When it comes to ensuring your Remotely Piloted Aircraft Systems (RPAS) portfolio is fit for each mission, you can rest assured that we are here to help. From maintenance scheduling to platform upgrades, we can advise and support with flexible implementation programmes and finance options, if required. Here at UMS SKELDAR we have built a talented team of operational, executive, maintenance and support staff. All are experts in their respective field, and because we have invested in top calibre people, drawn from military and civilian sectors, across our organisation we are able to provide the best solutions for each customer. Accurate, detailed and specific meteorological information is essential for unmanned aerial operations. Weather risk can be mitigated by a more accurate and sophisticated meteorological support of flight mission planning and execution. We offer an Integrated Aviation Weather Prediction System (IAWPS) providing a full meteorological data and support service, which is able to effectively reduce the potential risk based on weather impacts of aviation. Our Unmanned Aerial Vehicle (UAV) solutions package expands beyond the product and provides services of associated systems. These include Ground Control Stations (GCS), communications links and data terminals together with Managed Services, enabling both military and civilian organisations to select the package that meets their requirements. Our Unmanned Aerial Vehicles (UAVs) are designed to ensure a minimal logistical footprint. Typically this comprises two vehicles and one Ground Control Station (GCS). Depending on customer requirements, we offer professional support throughout your Remotely Piloted Aircraft Systems (RPAS) project – from writing the Concept of Operations & Tactics to training your personnel in RPAS Operations, helping to ensure that your missions are supported from day one. Successful missions, across civilian or military applications, require planning and full maintenance back up. We offer a fast-track maintenance supply chain, and regional partners provide expert engineering teams to support our portfolio of Unmanned Aerial Vehicles (UAVs), Ground Control Stations, avionics and payload options. Accurate, detailed and specific meteorological information is essential for Unmanned Aerial Vehicle (UAV) operations. Weather risk can be mitigated by a more accurate and sophisticated meteorological support of flight mission planning and execution. We offer an Integrated Aviation Weather Prediction System (IAWPS) providing a full meteorological data and support service, which is able to effectively reduce the potential risk based on weather impacts of aviation. Laser scanning deployed on payloads from high-end Unmanned Aerial Vehicles (UAVs) provides the possibility to acquire data in dangerous and/or hard-to-reach areas, while offering an excellent cost-to-benefit-ratio for numerous applications, e.g., precision farming, forestry, and mining. Thermal imaging cameras are being used on our Unmanned Aerial Vehicles (UAVs) for the thermographic inspection of inaccessible buildings or electric power lines as well as for firefighting and law enforcement jobs. The technology could also be implemented for other industrial applications, research and development, cutting edge aerial archaeology or nature and animal observance. On farms and ranches throughout the world, multispectral systems on Unmanned Aerial Vehicles (UAVs) monitor subtle changes in the visible and near-infrared radiation that plants reflect. Growers use this data to spot plants under stress, monitor plant growth or to perform dozens of other functions helpful in managing crops. Variations in the near-infrared indicate changes to vegetation long before any indications appear in the visible spectrum.